As I was looking for a bible study group, God led me to Immanuel Community Church; in which I had the chance to meet wonderful people of God. They’ve humbly received me with so much love that it impacted my life in a very positive way. As the weeks went by I started attending almost every bible study group section. Here, I have learned so much about the word of God that it has helped me to understand the teachings of Jesus Christ and why it’s important to imitate his life. I really love how united this church is and how they show so much love for others just as our Lord did to people. 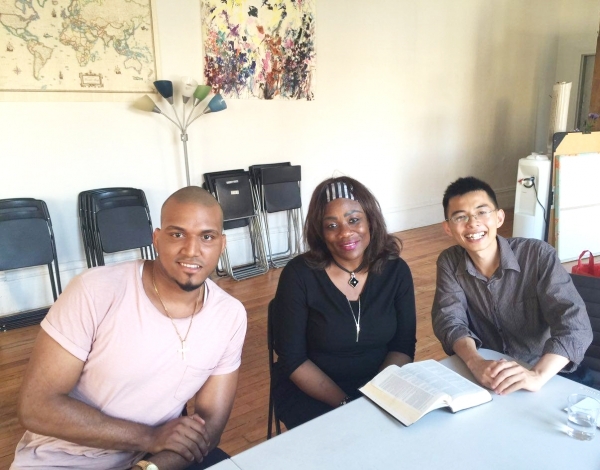 This bible study group has helped me to develop a deeper relationship with God and also with others. I’m so grateful, that God has led me here. It’s a place that the glory of Christ is always felt. I will definitely keep coming to this group, in which they showed me so much love (1 Corinthians 13:13). In general, may God Bless this bible study group more and more each day.